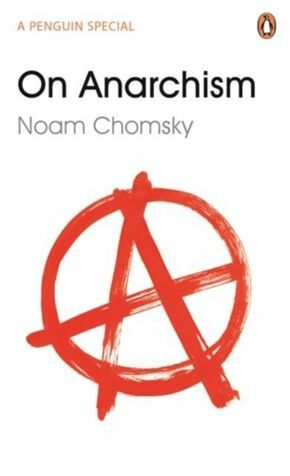 On Anarchism is an essential introduction to the Noam Chomsky's political theory.On Anarchism sheds a much needed light on the foundations of Chomsky's thought, specifically his constant questioning of the legitimacy of entrenched power. The book gathers his essays and interviews to provide a short, accessible introduction to his distinctively optimistic brand of anarchism. Refuting the notion of anarchism as a fixed idea, and disputing the traditional fault lines between anarchism and socialism, this is a book sure to challenge, provoke and inspire. Profoundly relevant to our times, it is a touchstone for political activists and anyone interested in deepening their understanding of anarchism, or of Chomsky's thought. 'Arguably the most important intellectual alive' New York TimesNoam Chomsky is the author of numerous bestselling and influential political books, including Hegemony or Survival, Failed States, Interventions, What We Say Goes, Hopes and Prospects, Gaza in Crisis, Making the Future and Occupy.Nathan Schneider is the author of Thank You, Anarchy: Notes from the Occupy Apocalypse and God in Proof: The Story of a Search from the Ancients to the Internet.